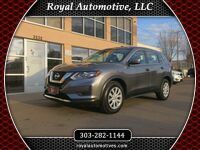 If you’re looking for a highly capable, yet affordable pre-owned SUV in Denver, then you’ve come to the right place! 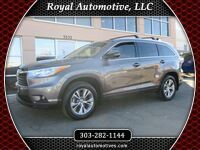 Royal Automotive has a massive selection of pre-owned SUVs from top makes, including Lexus, Nissan, Toyota, Mercedes, Jeep and more. With our proven track record of delivering exceptional customer service, you can count on a dealership experience that far exceeds your expectations. 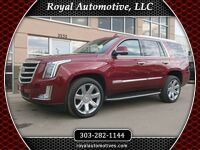 At Royal Automotive, we offer many different types of used SUVs for sale, ranging from mainstream brands like Ford, Toyota, and Chevy, to luxury brands like Mercedes-Benz and BMW. How about used compact SUV? Check out the Ford Escape, Mazda CX-5, or GMC Terrain. Perhaps you’d like a midsize SUV for a growing family. Test drive the Toyota Highlander, Jeep Grand Cherokee, or Ford Edge. 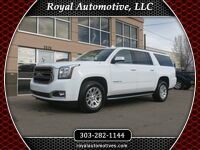 How about a spacious full-size SUV perfect for Colorado adventures? Look for a Chevy Suburban, Toyota Sequoia, or Nissan Armada. And for those who desire something more luxurious, we offer many BMW X Model SUVs and Mercedes-Benz SUVs like the GLE, GLS, and G-Class. 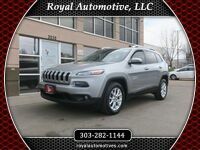 View our current pre-owned SUV inventory to see what we have to offer our Denver customers! 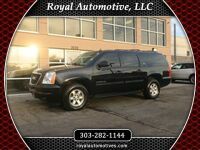 When you buy an SUV from Royal Automotive, you’ll also benefit from our tremendous customer service. We take great pride in giving Denver-area automotive shoppers the opportunity to get behind the wheel of our high-quality vehicles — and we greatly appreciate your business. We treat our customers like family, and like family, your happiness and satisfaction are very important to us. 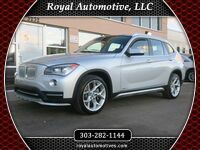 In the pursuit of your ideal pre-owned SUV, you can utilize some of the tools on our website. First, our used car inventory is clearly laid out by each brand, so click around to see if there’s something that appeals to you. Secondly, we have many online financing tools, including a calculator for the monthly payments, fuel savings, and the trade-in value of your current vehicle. Also, you can fill out a form and get online pre-approval for financing. 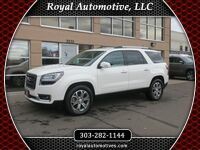 We have a great selection of highly capable pre-owned SUVs. If you see one that you like, then feel free to schedule a test drive! 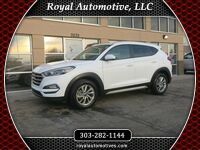 Interested in a Pre-Owned SUV?